Jordan Valve: Pressure regulators, back pressure regulators, temperature regulators, pneumatic and electric control valves, sanitary valves and accessories. 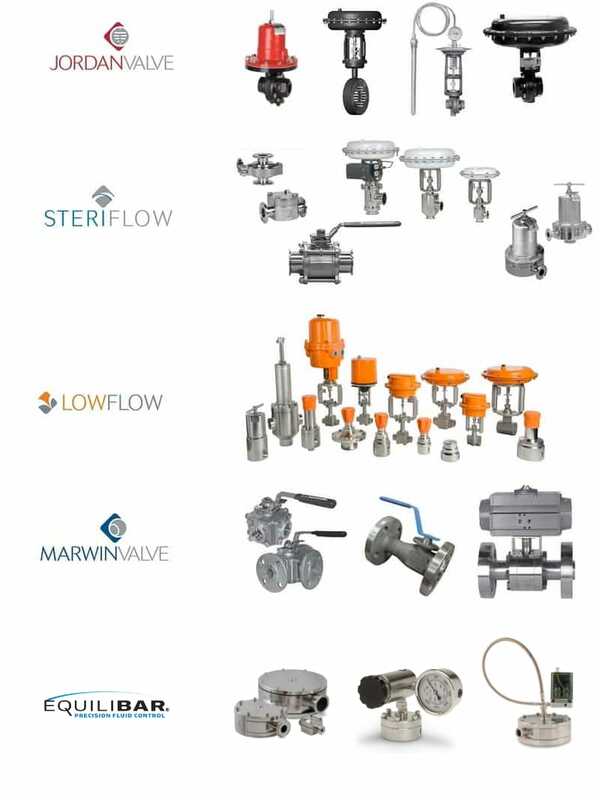 SteriFlow Valve: High Performance, high quality sanitary valves for pharmaceutical, biotechnology, food, cosmetics and clean process industries. LowFlow Valve: Pneumatic and electric control valves for fractional flow, high pressure regulators for low flow and back pressure. Lightweight control valves for mixing low flow process applications. Marwin Valve: Industrial ball valves. 1/4" - 12" ball valves, manually operated and actuated.